Since 1996, NetStrategies and Management has helped many businesses and organizations with the development of their web systems, whether it be an Internet site or an interactive Intranet/Extranet system. Our team of professional Internet technology specialists, web developers and designers, and Internet Marketing specialists can help your organization make and save money by simply putting the Internet technology to work for your business. 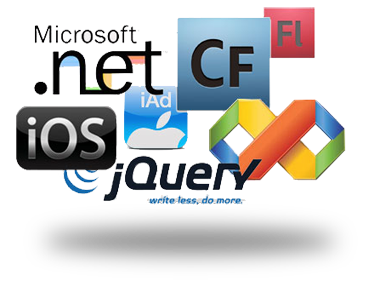 Our web developers specialize in custom design, Internet and Intranet systems with content management, e-commerce systems, and mobile phone applications. Our Internet marketing specialists take it to the next level by ensuring your website can be found by targeted, potential customers. Whether your organization is large or small, we can hep put the Internet to work for your business.